Southeast Region Meth Lab Cleanup Services - Two of the most important issues the states of Alabama, Florida, Arkansas, Georgia, Mississippi and Louisiana face today are health risks and property damage associated with methamphetamine use and production contamination. Meth Lab Cleanup Company, Southeast Region, is a leader in clandestine drug lab testing and decontamination services. We are a company committed to developing solutions that support growth through technology development, innovation and a firm commitment to deliver value-added services that protect people and sustain property value. Unmatched Knowledge - Meth Lab Cleanup’s goal is to deliver value-added services that protect people and maintain property value. 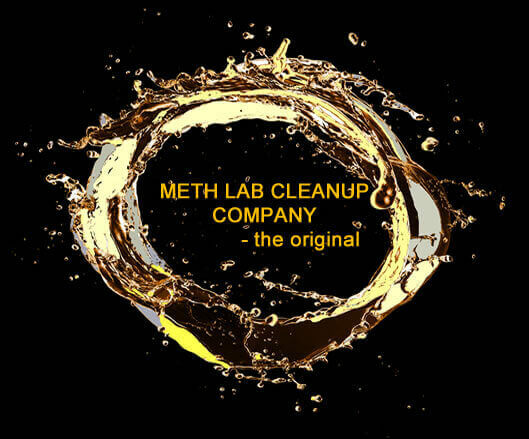 Meth Lab Cleanup Company does this through its certified specialists, unmatched knowledge and experience and industry-leading technologies, products and services. Quality Guaranteed - Our staff of hazardous waste management specialists, industrial hygienists, hazardous safety personnel, inspectors and decontamination specialists allow Meth Lab Cleanup to provide all phases of a meth lab cleanup project, from assessment and project schedule to decontamination, post assessment and clearance. The specialists that serve these southeast states are also experienced in the decontamination of fentanyl laboratories. The DEA offers a Clandestine Drug Lab Registry that contains addresses of some locations where law enforcement agencies found chemicals or other items associated with clandestine drug labs. NOTE: These lists are not all inclusive and have not been kept up to date. There are no known clandestine drug lab decontamination or disclosure/non disclosure laws in Alabama, Georgia, Mississippi or Florida (although several Florida counties are regulated). Arkansas' regulatory standard for meth residue is 0.05 ug/100cm2. There are no states in the US that regulate fentanyl laboratories, specifically. Currently, testing and decontamination is completed in accordance with methamphetamine lab protocol with attention to additional hazards. A list of Arkansas methamphetamine contaminated properties can be viewed on the Arkansas Department of Environmental Quality (ADEQ) website. If an Arkansas listed property has been properly remediated per the ADEQ, there is no requirement to disclose. Louisiana property owners must disclose any knowledge of illegal drug manufacturing. Florida's property disclosure law is here. Visit Wikipedia's state and local law enforcement listing for police and sheriff's office (Drug Task Force) contact information for the states of Alabama, Arkansas, Florida, Georgia, Louisiana and Mississippi. The Drug Enforcement Administration (DEA) has three divisions in the Southeast Meth Lab Cleanup area: New Orleans Division, Atlanta Division and https://www.dea.gov/domestic-divisions/Miami. An easy-to-navigate map of local health departments is provided online by NACCHO. Find the Florida, Georgia, Arkansas, Alabama, Louisiana and Mississippi contact information you need for further information on clandestine drug lab programs and requirements, if available. The oversight of contaminated property is usually the responsibility of the Environmental Health Department within the county or state Health Department. In some states, like Arkansas, the quarantine and release of contaminated property is handled by the Department of Environmental Quality (ADEQ).